IMG_2648.JPG, a photo by mshanhun on Flickr. 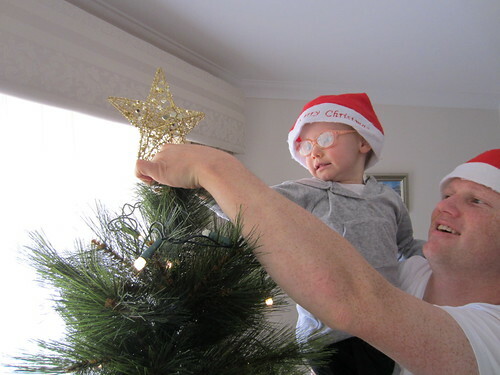 Traditions: Putting up the tree and nativity scene was the highlights of the day for Emily. Edward's not yet seen the tree but he was amazed by the baby's first Christmas stocking on his door handle.